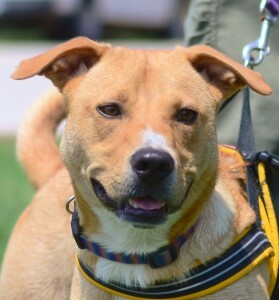 Monty is a medium-sized, 2 year old, Labrador Retriever mix with a winning personality and out to discover the meaning of life. He’s outgoing, eager to please, and friendly with people and pets alike. Monty has a short, thick blonde coat, with touches of white on his toes and on the tip of his curly Q tail. Full of boundless energy, he loves to spend time playing fetch. His toy of choice? A tennis ball. He would almost rather have a tennis ball than a treat. He enjoys baths and being clean; he closes his eyes and smiles while the shampoo is being massaged throughout his coat. Monty is a dapper, sweet boy with a heart of gold and aspires to be a family dog or your child’s new best friend. Heidi is a 5 month old, short-haired kitty with a Diluted Calico coat. She is a lively kitten who loves to play with her toys, especially the dangly, tangly kind. Since she didn’t experience the normal socialization during her early months, she has a couple quirky quirks. She wants affection, but doesn’t really know how to receive it. She talks and talks to get your focus and when you reach out to give her a rub, she shyly ducks away like she’s suddenly had a change of heart. After about three times of this coy “game,” she’ll stay still and let a little love come her way. 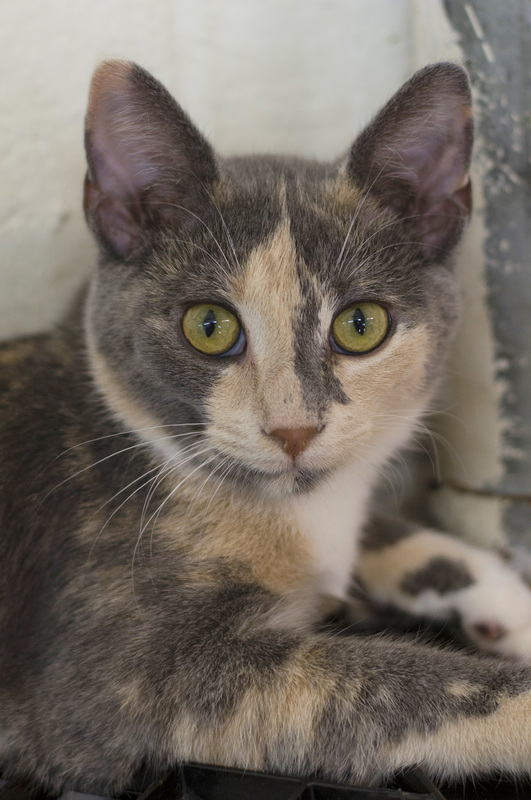 She and her sisters, June and Rose, all came to the shelter as young kittens and Heidi is the only one left still waiting for a new family to take her home.